Few people can say they've known their friends since the day they were born. But that's honestly the case for Kathleen and I. We were born two days apart at the same hospital! We got to know each other better in pre-school and have been close friends ever since. 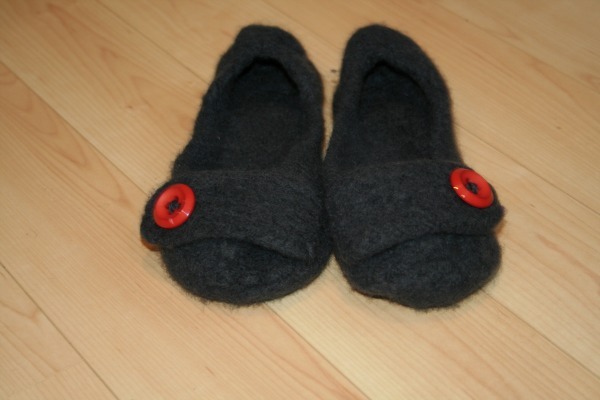 For her birthday, I thought I'd knit and felt her a pair of slippers because she told me (a few times) how much she loved the red ones I had made. When they were finished drying, I thought they looked a little...lumpy. I was a little concerned at first (all that work down the drain!?) until I remembered that the red slippers were stretched and shaped by my feet while they were drying. 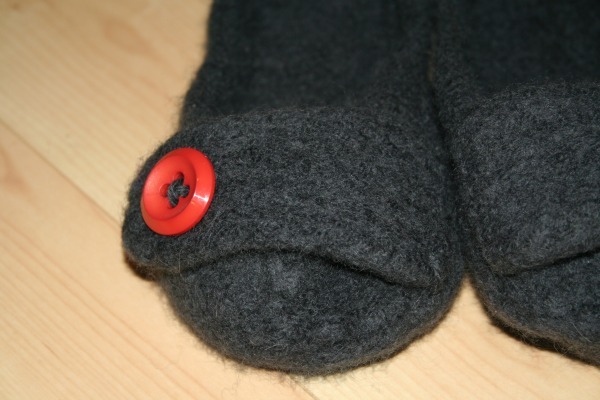 Kathleen's slippers were stuffed with some rags to hold shape, hence the bumps. Hopefully they will smooth out over time! I hope the Birthday Gal had a great day! ....these slippers look good on me too!